It might be my “advocate’s optimism”, or involvement in recent discussions of progress (or lack thereof), but I have recently had visions of Arizona being on the verge of pulling out of a trail network and bike route quagmire. I know that the budget climate is difficult, and that opponents of spending on virtually any public works have recently crawled out of the washes and arroyos in many communities, but I just have this feeling that bicyclists in Arizona are about to score some major victories. Why do I think this? Because, no major community wants to be “one-upped” by their up-state or down-state rivals…tourism and other public officials are about to be enlightened as to the economic potential and public benefits of bicycling…and I see bicyclists beginning to come together politically to demand that their rights and interests be addressed. A small but very active Verde Valley Cyclists Coalition achieved a major achievement in bicyclist accommodation as a part of the Highway 179 renovation project between Sedona and the Village of Oak Creek. An article and photos related to that project is scheduled to be published nationally this spring. The Mayor of Sedona has already signed on to expanding bicycle lanes through West Sedona to connect this project to the wide paved shoulders of Highway 89A leading to Cottonwood and Clarkdale, creating a “metric century” route that will likely become a bike tourism “Mecca” destination in short order. The Coalition of Arizona Bicyclists will follow the resulting changes both anecdotally and with an economic impact study. The El Tour de Phoenix” is becoming the “El Tour de Mesa” this year. Why? Because Mesa leadership now understands what Tucson has (El Tour de Tucson), and wants to head in that direction by helping to grow this event in ridership and stature. Several pieces of legislation are being introduced in Arizona to address bicyclist concerns, and they have backing of a number of legislators. Bicycling advocates are assembling a “wish list” of bicycling accommodation projects in Phoenix to be recommended to the Phoenix Transportation Department, which is the first time this has been done in an organized process from the ground up. Tucson, Maricopa County and Flagstaff all have trail systems in medium to mature states of completion. Each has various obstacles to completion (funding, small neighborhoods who “don’t get it”, city council members who are hostage to “Tea Party” or other constituents who yell loudly about spending money on alternative transportation and threaten to “take names”, etc.). But, the 33-mile FUTS (Flagstaff Urban Trail System), the 55-mile Tucson Urban Loop and the 200+ mile Maricopa County Sun Circle Trail all have significant support and are part of community plans to enhance the health, commuting options and quality of life of their citizens. If anything, it is the presence of a really vocal and well-organized trail user community that is needed to push these projects to completion in the next 5-10 years (OK, the Sun Circle Trail may take a bit longer). Once one of these “dominoes” is substantially completed and is touted in the press (along with the community usage and tourism benefits), other community officials can be made to take notice. OK, it’s never that simple or that easy in the real world. But, your Coalition of Arizona Bicyclists will push these projects, and others in other communities, until we have a portfolio of bicycling “Gems of Arizona” in place…places all over the state where you can ride as a commuter, for recreation and/or for health/fitness/training. We’re in the midst of reaching out to bicyclists all over the state and “Pulling it all Together” for our collective benefit. 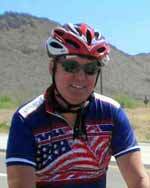 Please join in the effort by becoming a member, volunteering to take on a task or mission in your community and by joining other bicyclists to raise your voice in support of bicycling in Arizona. For more information on how to do that, please contact me (bobb@cazbike.org) or any other board member or officer. Thanks! See you on two wheels.